And I want my kidlets to know about art, think like artists and create. 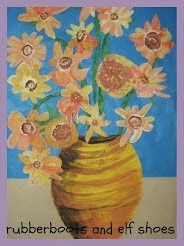 I want our classroom to be full of art to inpire the kidlets and that they have created. 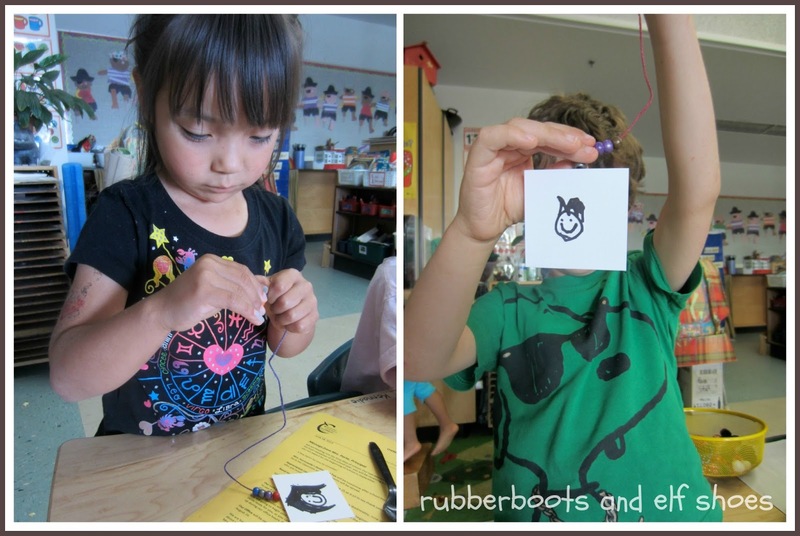 One of the projects that has been rattling around in my head is a a Reggio inspired chandelier. I am inspired by the chandeliers that Sally from Fairy Dust Teaching shared. 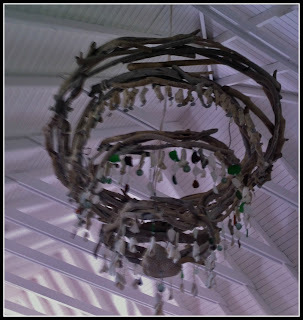 And this fabulously amazing chandelier I saw in a restaurant (that makes to-die-for rum punches) on a tiny Caribbean island. I wanted to make a hanging work of art that would become part of the classroom. A last project that we would do together. A bit of history left in the classroom. With one week of school left before summer holidays, I decided that if it was going to happen this year, it had to happen right away. After wondering how I was going to get five year old fingers to work with florists wire, deciding that I did not want to use pipe cleaners, wondering where I was going to get a bunch of cool beads that would not break the bank, I figured it out. Scrapbook paper, hemp string and wooden beads - all leftover from previous projects. The kidlets drew their self portrait with a black marker on 2" white squares. They chose a piece of coloured hemp string and put some beads on it. A piece of scrapbook paper was chosen as a backing. 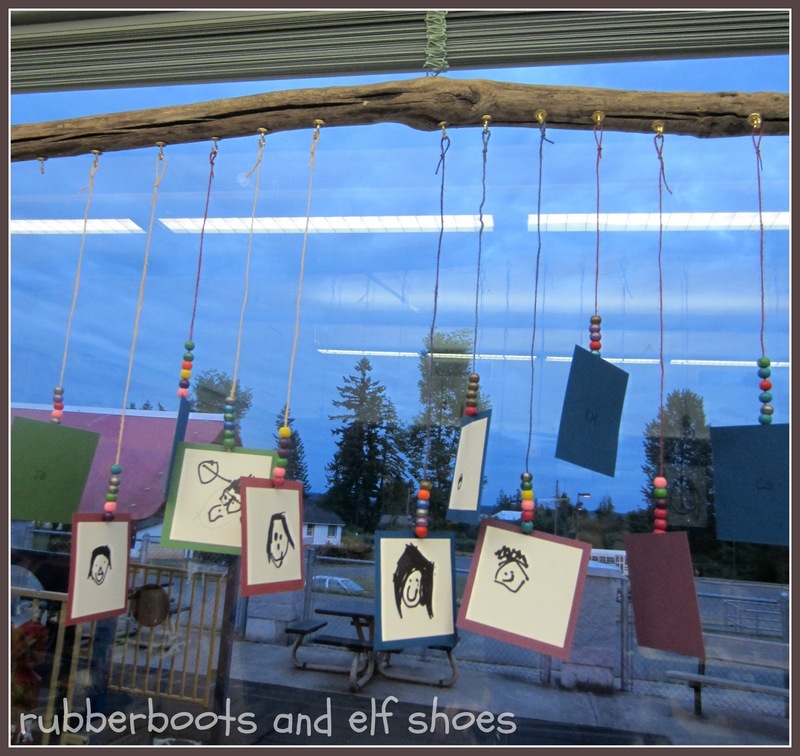 The self portraits were hung on a piece of drift wood that I hung in our window. 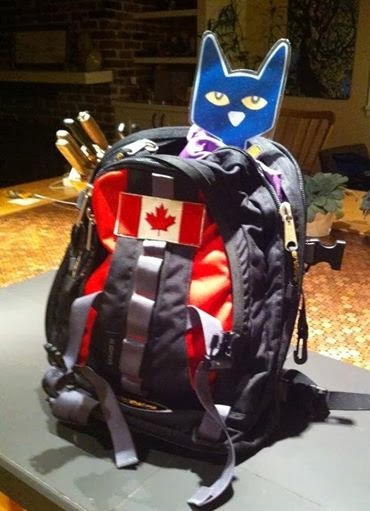 While, on a macro level, I am pleased with this project (and the kidlets are pleased with their stamp on the room), there are some adjustments that I want to make. I want to bring the driftwood home during the summer and spray paint the hooks something that is not gold and shiny. A couple hooks fell out; time for the cordless drill and a bit of glue. We will have to talk about where we will hang the driftwood next year when the new kidlets come to kindergarten. Where will we find it's permanent home? A permanent reminder of a year well lived. What a beautiful idea! 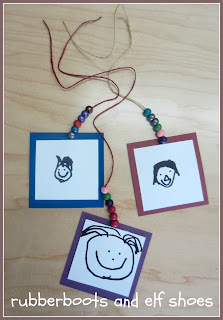 I love the idea of each year having students leave a memento for the next class. I am wondering how you could set this up so each year students could add to the piece or create a similar piece. Hmmmm.... summer thinking time! I am pondering the same thing too, Camille. I am thinking that the window spot should be for the current year's kids, and then move it somewhere else in the room on the last day. Such fun ponderings! That's a very cool idea, Sandi. I'm pinning to remember for next year. Thanks for pinning. Next year I want to do this project before the last week of school. I am thinking of possibly doing a project that we add to throughout the year. 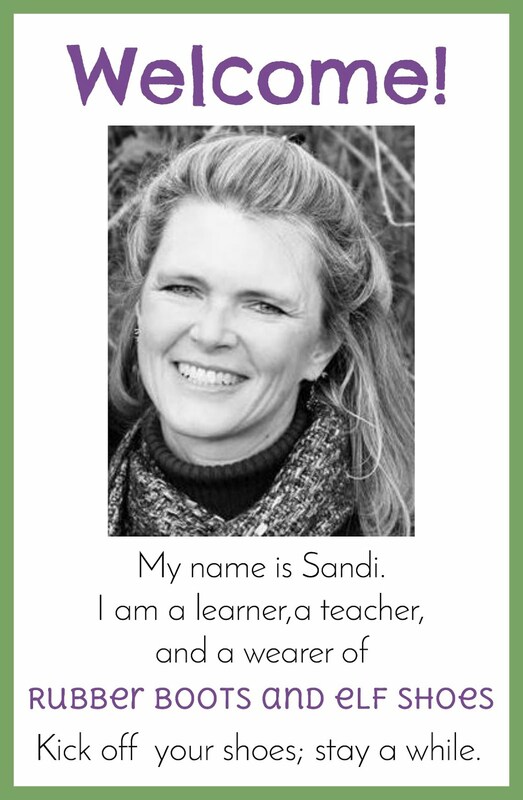 What a beautiful memento, Sandi! Thank you for sharing with us! I just love this, what a great Art display :) So glad I stopped by for a closer look! Love this Sandi! I too have been mulling over how to do a Reggio inspired chandelier but my son and home daycare kids are even younger than yours, so I'm still working on it. Yours is great and I love the self portraits. Sandi, this turned out so well! And you may say you're not an artist, but lady I have to disagree with you! I am always amazed at what you do with your students in regards to art (and many other areas, as well). You are most definitely instilling in them a love for art and creative spirits! Just wanted to pop by once more to say thanks for sharing this at Stress-Free Sunday! I love your ideas! And I love the kids self portraits. Nothing beats kid art. Thanks for sharing! I love her chandeliers too. I've been thinking up what I want to do so that when I see glass beads or whatever, I'll remember to collect them this summer. I love how yours turned out. it will be great to have for next year's kids. Motivational for what they can do. I think these are good for every age. It shows such real teamwork.